There has been a lot of negative news coverage concerning the impact of Brexit on the UK wildlife. But is it all doom and gloom? Whether people were in support of Brexit or opposed to it, the end result of the referendum is this; the UK are out of the EU. The implications of Brexit on the UK economy, on political relations as well as the UK image have been widely explored and so have, to a somewhat lesser extent, the impact on the UK wildlife. Without question the EU has provided many laws and environmental policies that protect much of the UK’s environment. It is said that the EU has managed to modernise the UK’s environmental policies since 19731. In doing this, the style of the national policy has become more preventative, propped up by fixed standards and clear deadlines. Examples of such policies that stem from the EU are the ‘Climate change and energy policy’, which has promoted the growth of renewable energy, as well as the ‘Fisheries policy’ where the sustainability of the UK fisheries have improved considerably and most notably in recent years1. There was extensive support for the ‘IN’ campaign from multiple wildlife organisations across the UK, including the Wildlife Trust2 and the RSPB3. These organisations tout the benefits of EU membership when it comes to clean air, water and the protection of habitats and species across the UK and the continent, as well as setting an example for countries around the world. Both sites stressed the importance of cooperation between countries to improve pollution and the protection of different species across their entire migratory route. It was felt that the largest threat of Brexit concerning the British Wildlife was that Brexit would not listen to the common consensus that the public wanted British wildlife to be protected. A recent YouGov survey for Friends of the Earth (FoE) found that 83% of those surveyed said that, post-Brexit, the government should pass laws providing equal (37%) or greater (46%) levels of protection for wildlife and wild areas compared to the current EU laws4. The EU has spent years devising and implementing the laws that effect the UK and are seen by many to be highly effective at protecting nature. But does Brexit truly represent the start of the downfall for British wildlife? There is a large movement, using the FoE survey as evidence, that say this could be the new era for laws and policies surrounding the British wildlife and countryside. In addition to this, the EU’s Common Agricultural Policy (CAP) was initiated to increase post-war food production. Subsequently, various schemes have been implemented to try and support farmers in order to reduce environmental damage, with little success. 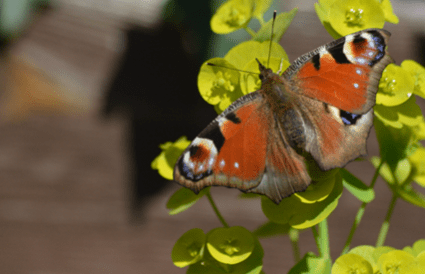 The UK was left with an agricultural policy that has contrary aims and, despite being a source of funding for environmental schemes, farmland bird and butterfly numbers have dropped and continue to do so5. Many groups and influential individuals, including the world renowned and iconic Sir David Attenborough, has suggested that the people of the UK and the UK government use this as an opportunity to refine UK legislation to match the need. It was highlighted at the launch of the 2016 State of Nature report that all agricultural and environmental treaties will have to be rethought6. 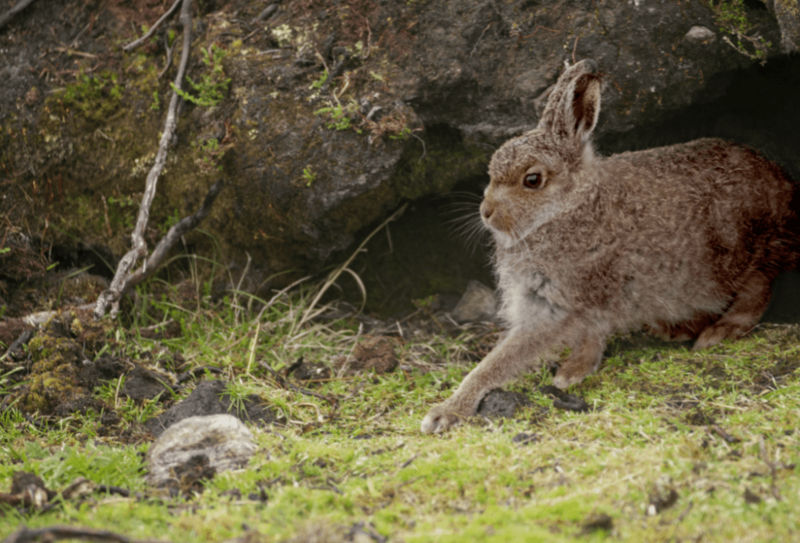 This could lead to a total rethinking and complete tailoring of new schemes, the design of which will be solely focused on the requirements of the UK species and habitats. So yes, there is a significant threat to the UK wildlife; the UK is now not going to be part of the decision-making process of EU law and there is a risk that environmental standards could be lowered to gain a competitive advantage outside the EU trading bloc2. However, this is an opportunity to prove that long term plans for the protection of UK wildlife will be implemented. As stated by Andrea Leadsom, the new secretary of state for the environment, food and agricultural affairs, Brexit has provided the open door to new and innovative ways to link British industries and developers to get involved with the creation and protection of natural services, such as wetland areas7. There will always be controversy surrounding the future of UK wildlife. Despite the vast amount of support for the protection of the UK environment, there are still influential people, such as farming minister George Eustice, who find the mostly successful EU laws “spirit crushing” and that these directives “would go”4. There will always be concerns placed upon the people who lead these areas, especially with Andrea Leadsom’s suitability for her role called into question over her backing of fox hunting and approval of selling off forests8. In the end it is a case of give and take, of patience and determination. With continued support for the UK environment from the general public and public figures such as Sir David Attenborough, it can only be hoped that equivalent or even improved policies are put in place to safe guard the valuable and little unspoilt environment the UK still has. In my own opinion and from an environmental point of view, I feel like it would have been safer to stay within the EU than to risk the unknown outside of it. As the saying goes, it is better the devil you know than the devil you don’t. The amount of uncertainty that lies in the future concerning the environment is worrying, especially as there is no guarantee that when it comes to policies being passed that any concerning the environment are going to be taken seriously, or as a priority. The best way to look at it is as an opportunity and as March 2017 rolls around and article 50 is issued, we can only hope that the importance of the environment, climate change and wildlife as a whole isn’t forgotten and that better legislation is implemented. As Sir David Attenborough said; “Brexit has happened, we may as well make the most of it”. My name is Victoria Hoare and I’ve just completed the second year of my degree in Conservation Biology and Ecology at the University of Exeter, Penryn campus. I’m an amateur wildlife photographer and blog writer, aiming to one day work in conservation and ecology. In previous years I’ve helped run the university based Expedition Society, organising and running short walks and hikes as well as larger expeditions, such as the three peaks challenge.